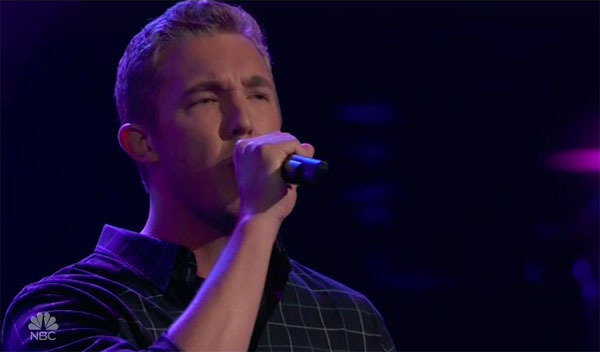 Jordan Kirkdorffer sings “In Case You Didn’t Know” on The Voice Season 14 Blind Audition, Monday, March 12, 2018. “There’s country and soul in there. Your performance is beautiful,” said Adam Levine. “I hit my button here because you’re different and special,” said Blake Shelton. Jordan Kirkdorffer chooses to join Team Blake Shelton.